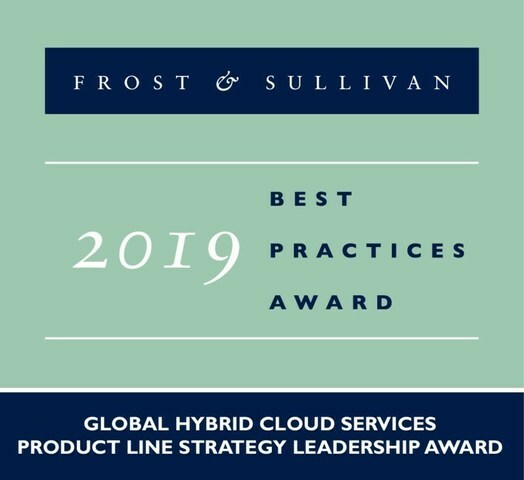 SANTA CLARA, California, March 18, 2019 -- After reviewing the market, Frost & Sullivan has awarded Tata Communications with the 2019 Global Product Line Strategy Leadership Award for Global Hybrid Cloud Services. The award recognizes the company as a leader in creating a robust, global hybrid cloud offering. Today, Tata Communications' IZO™ cloud enablement platform acts as a one-stop-shop for customers looking to pursue more deliberate multi-cloud and hybrid cloud strategies to balance performance and cost while meeting the specific needs of applications and workloads. "Tata Communications' continues to focus on providing a better customer experience through its product offerings," said Karyn Price, Senior Industry Analyst for Cloud Computing at Frost & Sullivan. "The company is demonstrating this through its continued strategy to add value-added services such as security, automation and standardization to its IZO™ cloud enablement platform to enable digital transformation for its customers as well as efforts to drive speed and delivery to achieve a unified user experience – this has resulted in a strong, positive experience for its customer." Tata Communications is a leading global digital infrastructure provider that powers today's fast growing digital economy.